Ascent Aero Systems, Tucson, AZ – Jonathan Meringer, co-founder. A startup stage company that designs, manufactures, sells and supports small unmanned aerial vehicles (sUAVs), commonly known as “drones”. The company has developed a unique “coaxial” vehicle configuration ideally suited for recreational, professional, commercial and military applications. Neolight, Scottsdale, AZ – Vivek Kopparthi, co-founder & CEO. Neolight is a medical device company that develops phototherapy beds to cure jaundice is pre-term and full term babies. We aim to significantly reduce global causality due to neonatal jaundice. Find Veggies, Phoenix, Las Vegas – Mitch Allen, founder. The farmers market is coming to you, right on your mobile phone. Adora, Phoenix – Kyle Thomas, captain. A cause marketing app for those who want to become influencers. It’s consistent funding for causes by empowering supporters through lock screen tech. 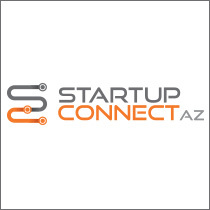 Urepp, Scottsdale, AZ – Alex Enright , co-founder. A new way for fans to stay up to date on their favorite young athletes. Any age. any sport. No More Watching Long Game Film. Tipsy, Tempe, AZ – Eli Chmouni, founder & CEO. A nightlife membership to the best bars, lounges, and clubs in your area. It’s simple: for $10 a month you get complimentary drinks, waived cover, and VIP line passes at all of the clubs on our network. Betr Blok, Tempe, AZ – Chris Frettoloso, co-developer. A start-up ‘Green Company’ that manufactures construction blocks made from recycled paper, cardboard and other recyclable cellulose material.